Dog exercise basic requirements vary among the different breeds. Here is what can help you understand this difference better. Breeds have their own characteristics and genetic composition. The difference in traits and genes is one of the key reasons for the difference in their exercise requirements. For instance, dogs with flat faces such as bulldogs will require less exercise than other breeds. In fact, this breed will do better with little to moderate exercise only. Their snouts make it harder for them to breathe and tolerate the heat during exercising. Different breeds differ in their energy levels. Some breeds have extremely high levels of energy, such as the Siberian husky, while others are couch potatoes, such as the Bulldogs. Hence, those with high levels of energy will need more exercise than those breeds with low levels of energy. It is important to note, however, that in determining the requirements for your pet’s exercise, you will also have to consider individual difference. For instance, your dog may belong to a breed that is typically for couch potatoes, but if his energy level is from moderate to high, you will have to adjust his exercise routine accordingly. High to extremely high-energy breed require an exercise regimen of 15 to 30 minutes daily at least two times and up to four times daily. Medium energy dog breeds need 10 to 20 minutes of exercise twice every day. Breeds that have low energy need only up to 10 minutes of exercise once or two times daily. Dog exercise is one of the basic health care essentials that you have to provide your pet. This is your responsibility as a pet owner. If you have a toy dog, such as a Shih Tzu, then you would not have to worry much about meeting his requirement for exercise. The breed belongs to the low energy group that will do well with little to moderate exercise routine. 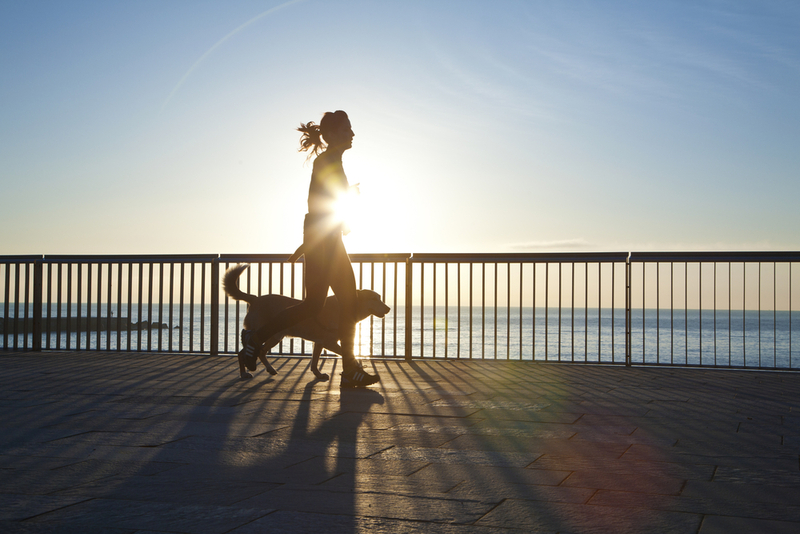 In exercising your dog, you have to consider both the physical and mental health of your pet. You need to satisfy both if you want to keep his good health condition. 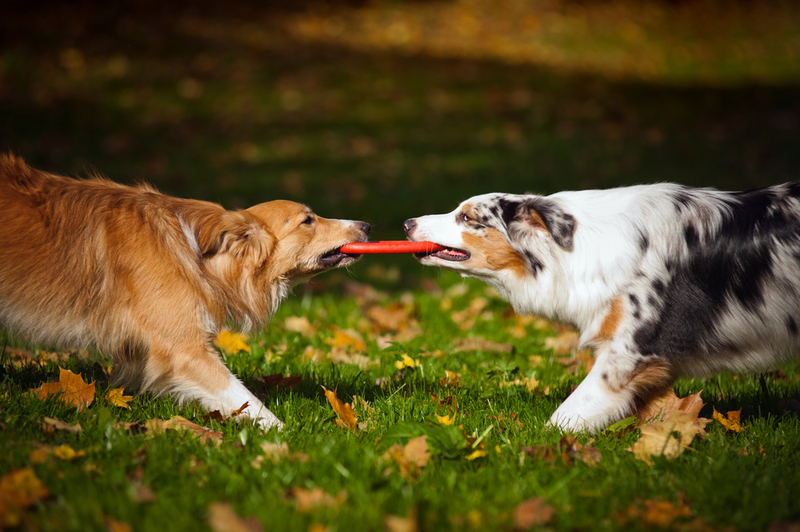 Examples of mental exercises are dog sports and training activities. Physical exercises, meanwhile, are the usual walks in the park, playing fetch (which can also stimulate good mental health), and agility training. With good health condition from dog exercise, you will seldom find yourself and your pet making frequent trips to the vet. I History says that there are animals that live in a hierarchical social order, and that allow the human being to become the most superior in the ranks. These animals are the ones that became domestic livestock between 9000 BC and 5000 BC. II In cosmetics companies around the world, animals are captured, shaved and then used to test the skin care products, to see if the skin would burn or blister. However, the European Union has banned the experiments. III During the pre-Iraq duty training, medics were trained to keep pigs alive as if they were soldiers. So, the pigs were shot multiple times - twice with a 9mm pistol in the face, six times with an AK-47, and two times with a 12-gauge shotgun. As if it was not enough, the pig was burnt and they given to the medic to save. IV When the US military wanted to test their new Taser devices, they used live and healthy pigs. After the torture, the pigs collapsed but did not die. However, they were still killed after. V There used to be an animal fighting event at the massive Coliseum, during the time of the Roman Empire. Animals were forced to fight and kill themselves as entertainment, and they are sometimes tortured with hot iron and darts. VI The pig farms near the North Carolina river has killed all the animals in the river because of the toxic waste dumped in the river. The antibiotics and insecticides given to animals are huge if their waste, and millions of such waste are produced yearly.